I love pie. I love all kinds of pie. I even like the word “pie.” It sounds comforting, solid, delicious, predictable. I love pie in all seasons and for all occasions. 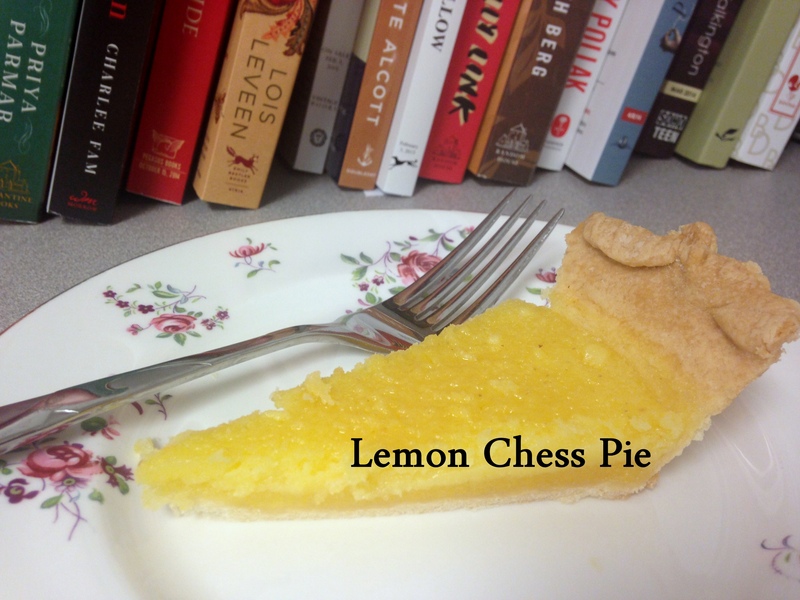 A co-worker of mine recently left the job and to wish her well, I made this version of a chess pie from the cookbook Vintage Pies: Classic American Pies for Today’s Home Baker by Anne Collins. 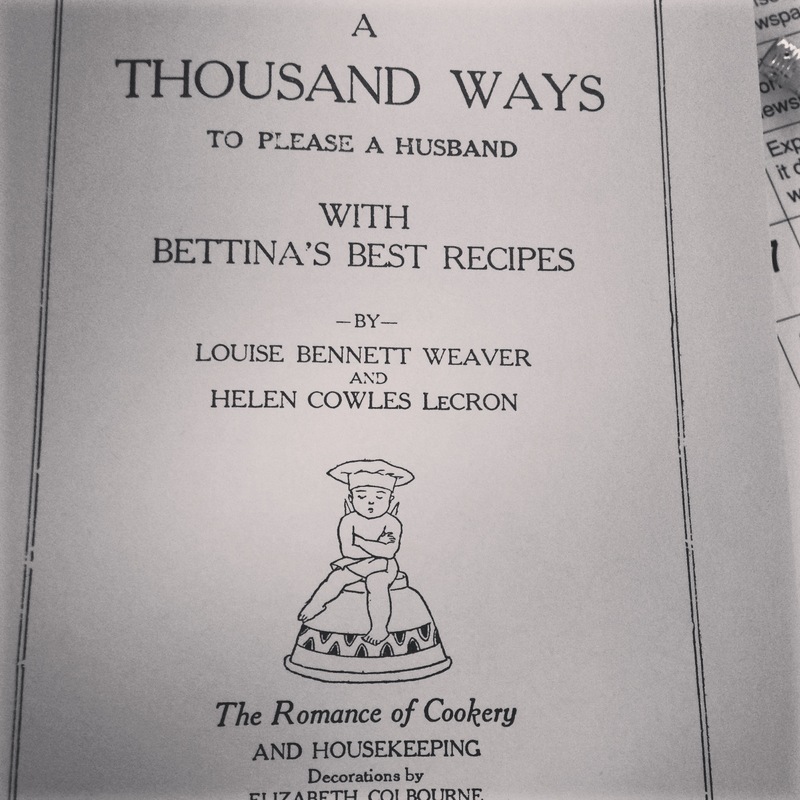 It’s a new book, published in 2014, but it contains many classic pie recipes without fussiness or adornment, along with a brief history of some recipes. 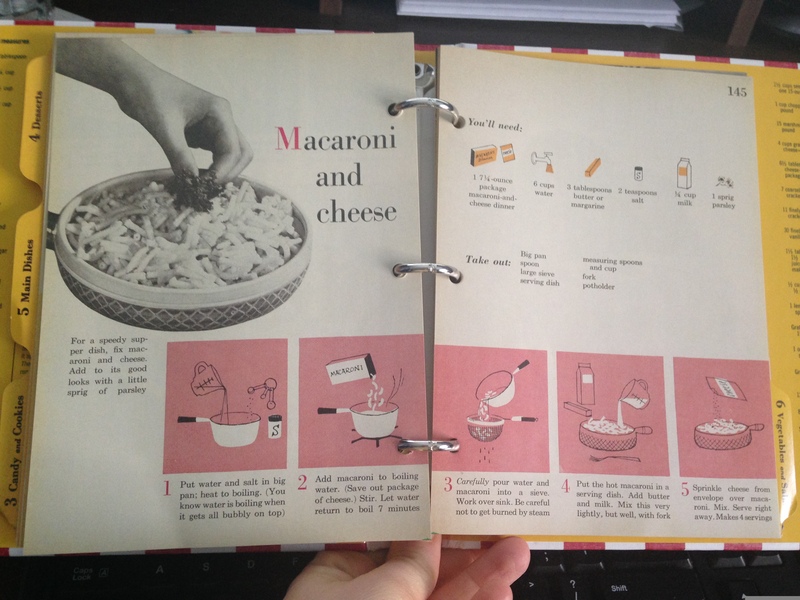 In any case, if you’ve never made a pie or you haven’t had much luck with fruit pies (as is the case for me! 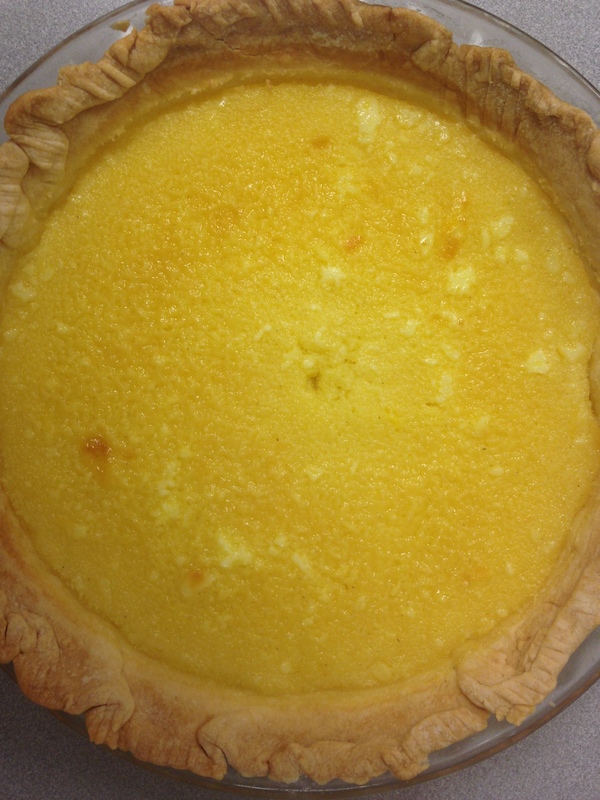 ), a chess pie is an easy, delicious dessert that serves well for any occasion. Juice the lemon, measuring out 1/2 cup. 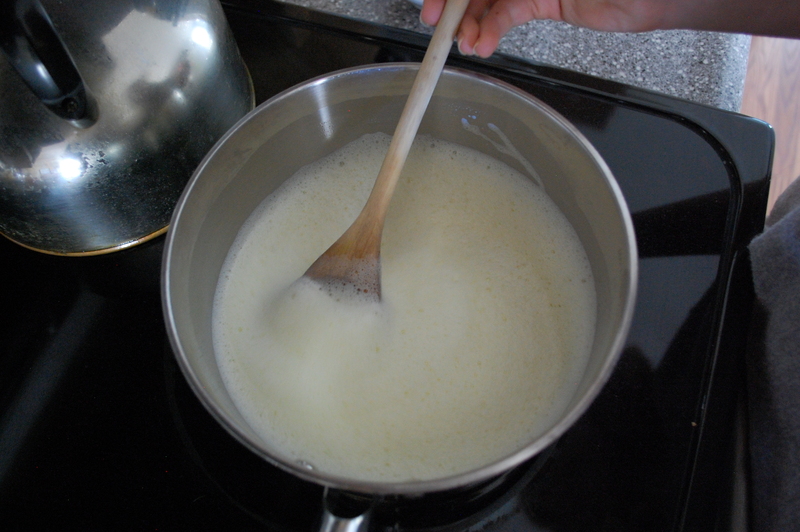 In a small saucepan, melt the butter. 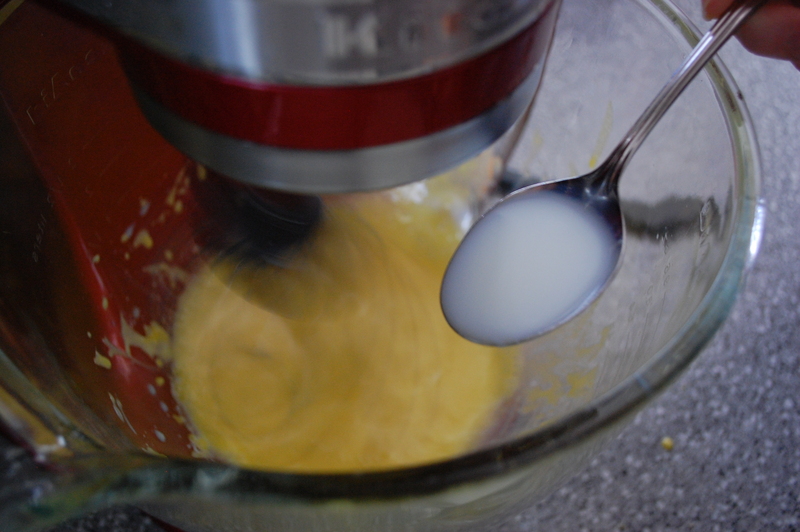 In a medicum bowl, whisk the eggs until they are light in color. 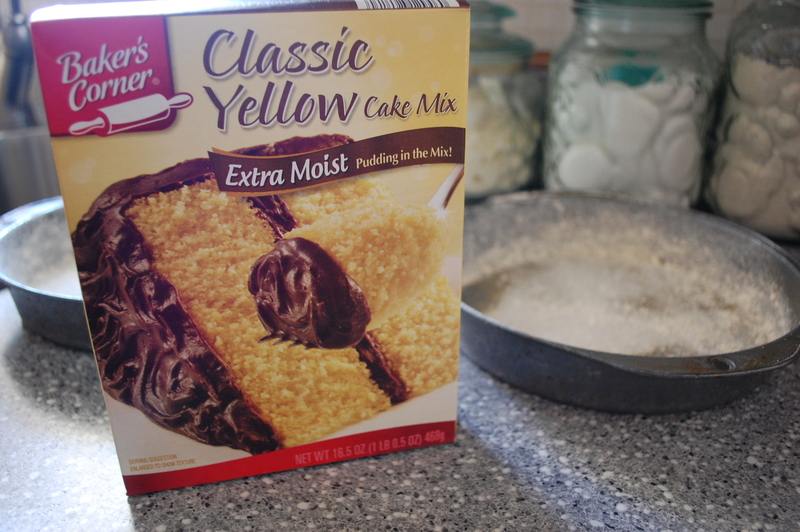 Add the sugar, the butter, the cornmeal and the lemon juice and stir the ingredients until they are just combined. 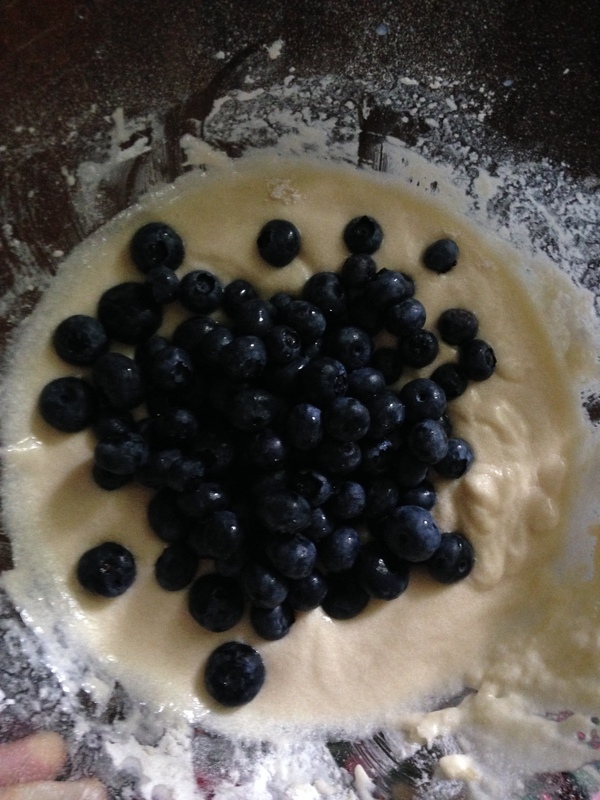 Pour the filling into a pie crust. 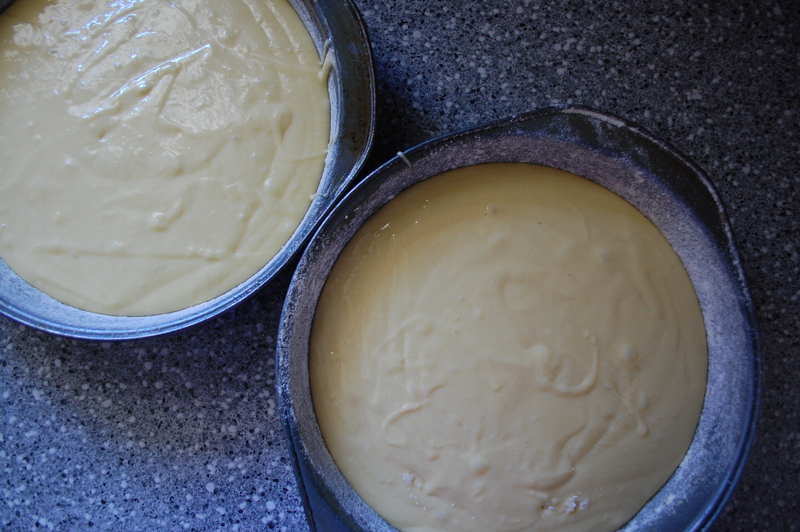 Place the pie in the oven and bake until the filling is set in the middle, about 35-40 minutes. I went to the Farmer’s Market and I saw a sign. “Last peaches of the season!” And I was suddenly seized with the irrestible desire for peach pie. Why wax poetic about peaches? They have a unique ability to keep some of the best parts of Indian summer– the sun, the heat, the laziness of the days–trapped in their skin and transferred to your tongue in juicy, succulent bites. 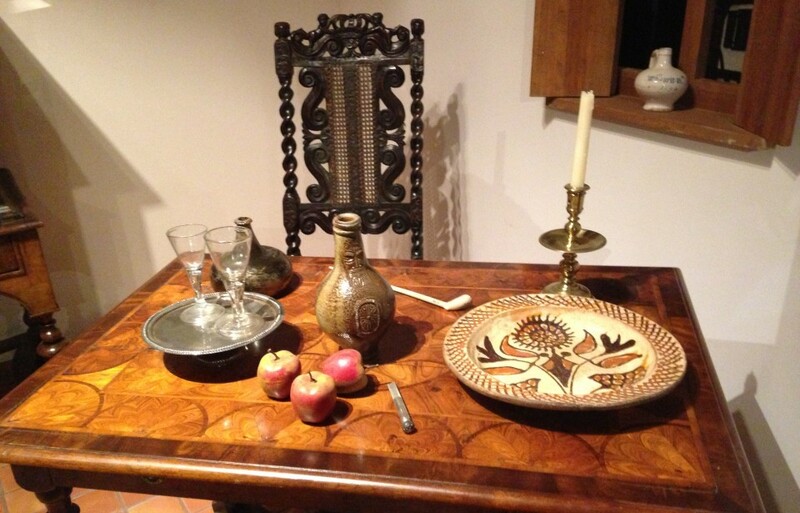 Colonial cooks loved to preserve the fruit in brandy and bring it out as an accompaniment to meat during the holidays… a little taste of summer in the dead of winter. Peaches are a sign that cold days are only temporary. My search for a vintage peach pie seemed to be quite difficult at first. 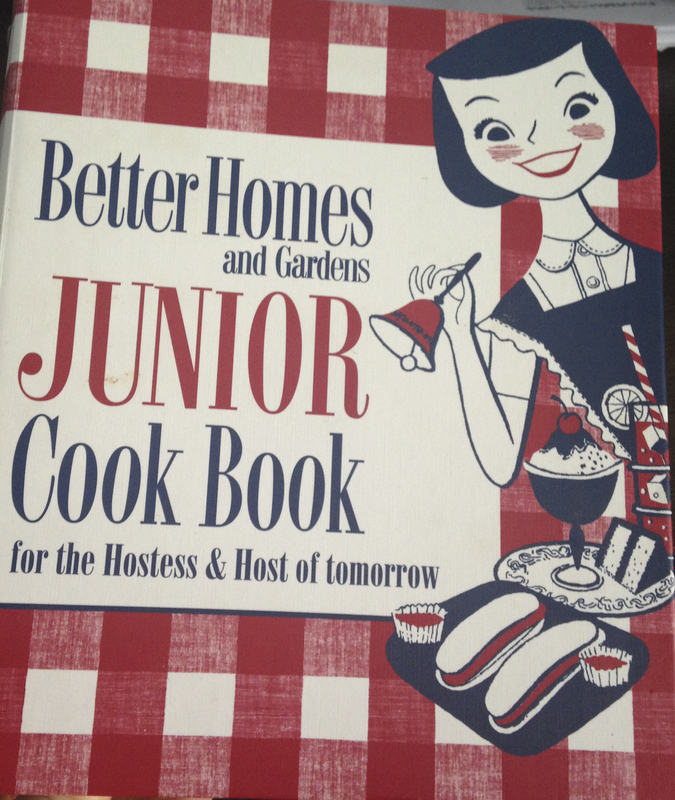 I had a hard time finding a recipe in my current store of cookbooks. However, I did find a “recipe” in Directions for Cookery and Its Various Branches published by Eliza Leslie in 1840. 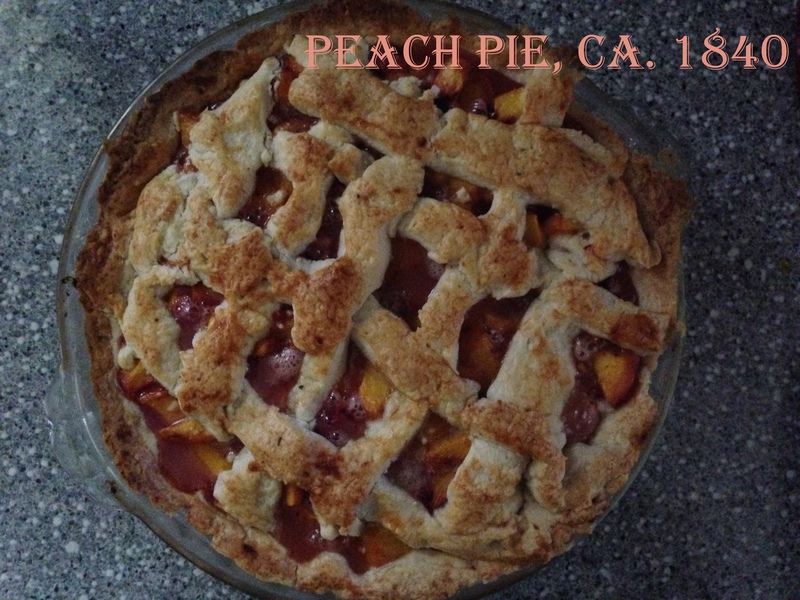 I put “recipe” in quotations because in my opinion, a plain peach pie is one of the easiest fruit pies to make. 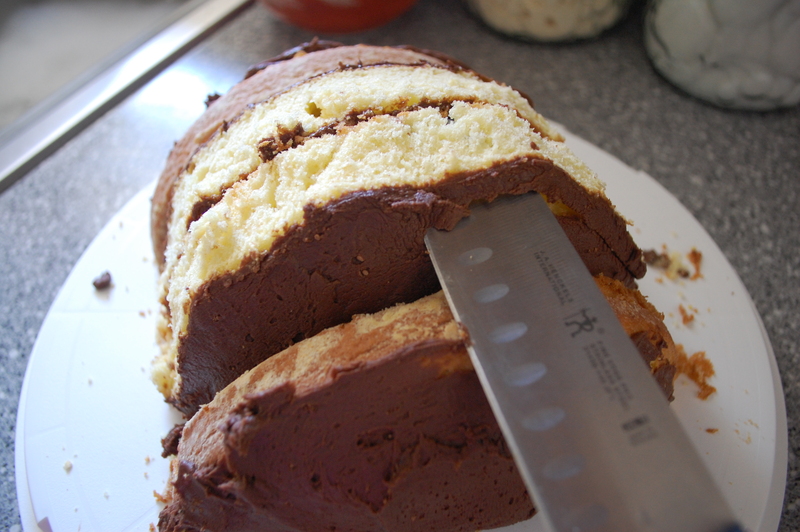 You need two crusts, some peaches, some sugar and flour and an oven. 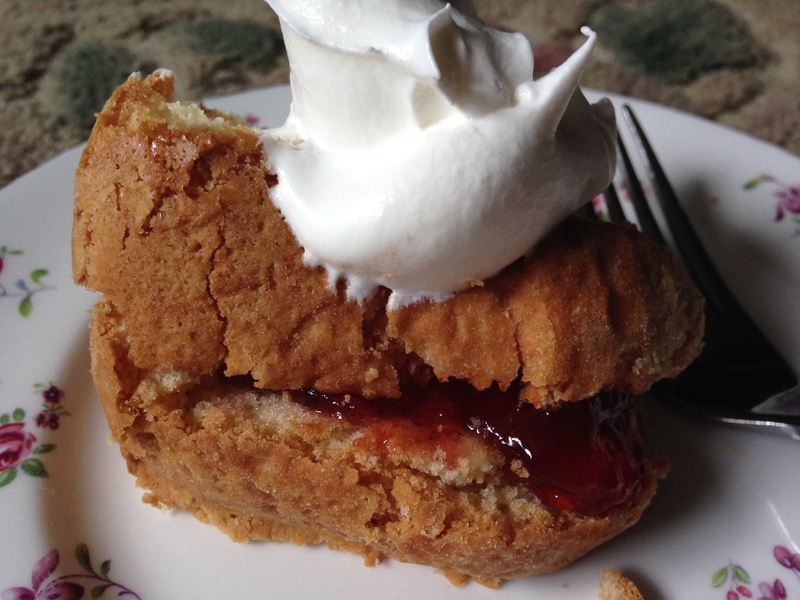 I especially loved this pie because it’s the first fruit pie I’ve made in a long time that wasn’t runny!! 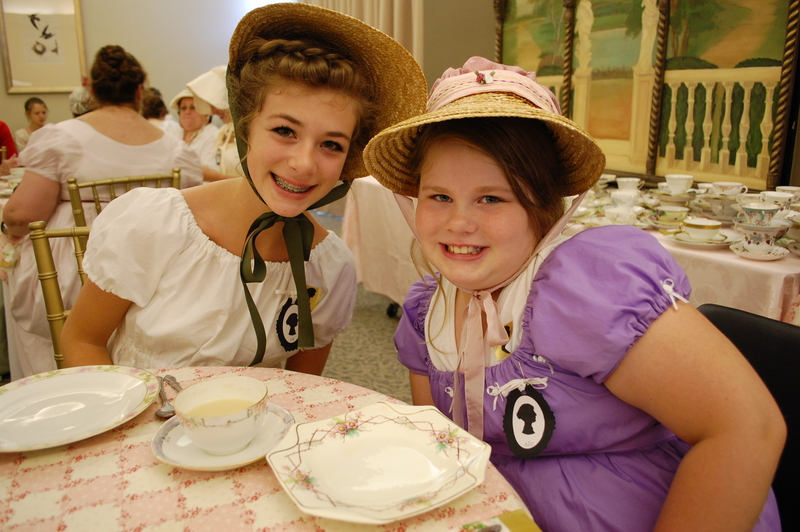 Eliza Leslie suggests you serve it cream whipped with sugar or cold boiled custard. In other words, ala mode with ice cream! The beautiful peaches blanched, peeled and chunked. 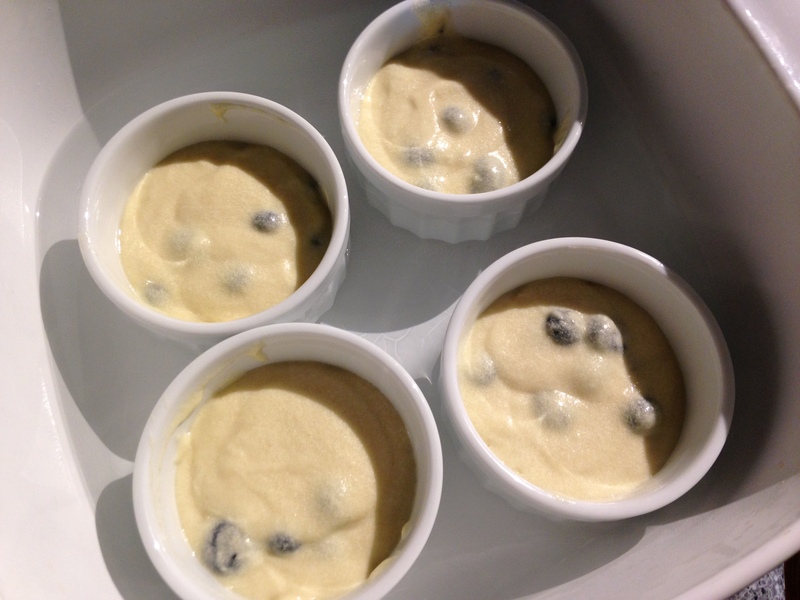 It’s hard for me to make fruit pie. I’d almost rather eat the fruit as is! Really, making a fruit pie is super easy and quick. 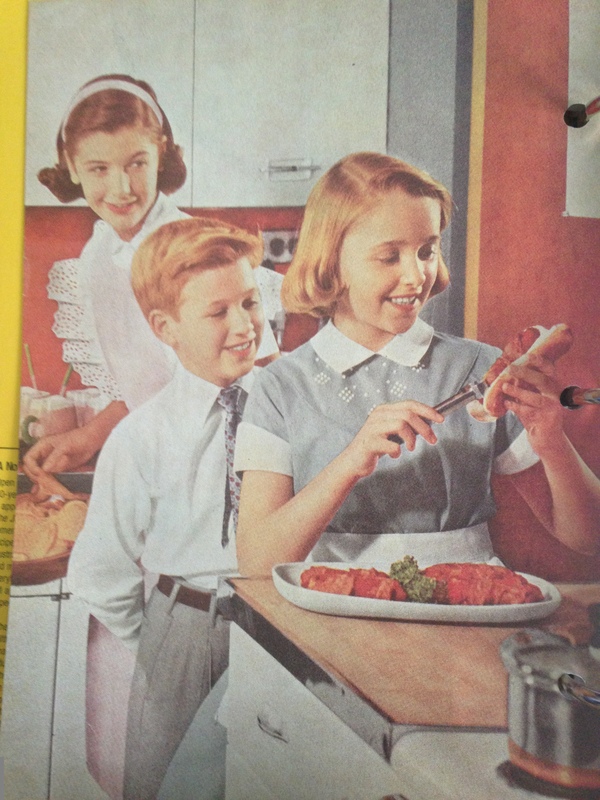 No wonder it was a favorite in vintage kitchens. Place first pie crust in your pan. Preheat your oven to 375 degrees. Prepare an ice bath. 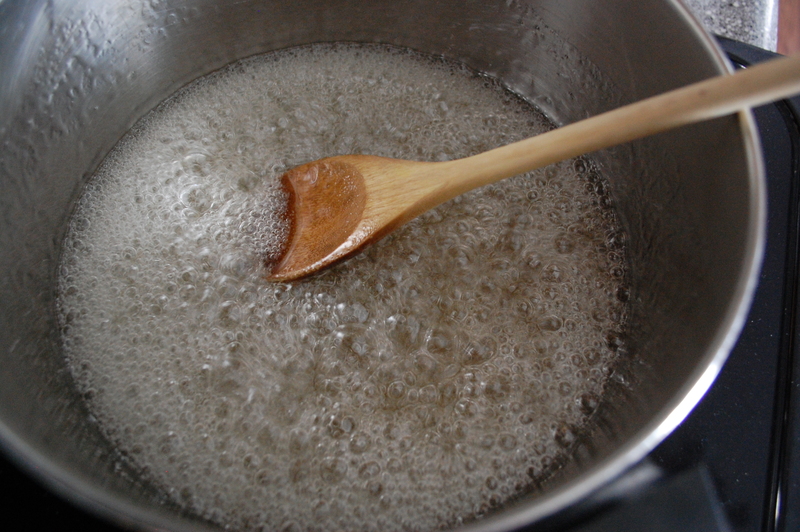 Boil a small pot of water. Cut an “x” in the top of the peaches with a knife. Drop peaches, one at a time, into the water for about 2 minutes or until the skin is just starting to get slippery. Transfer peach to ice bath and proceed with boiling the next peach until all have been dipped in the boiling water. The skins should slip off easily in the ice bath. 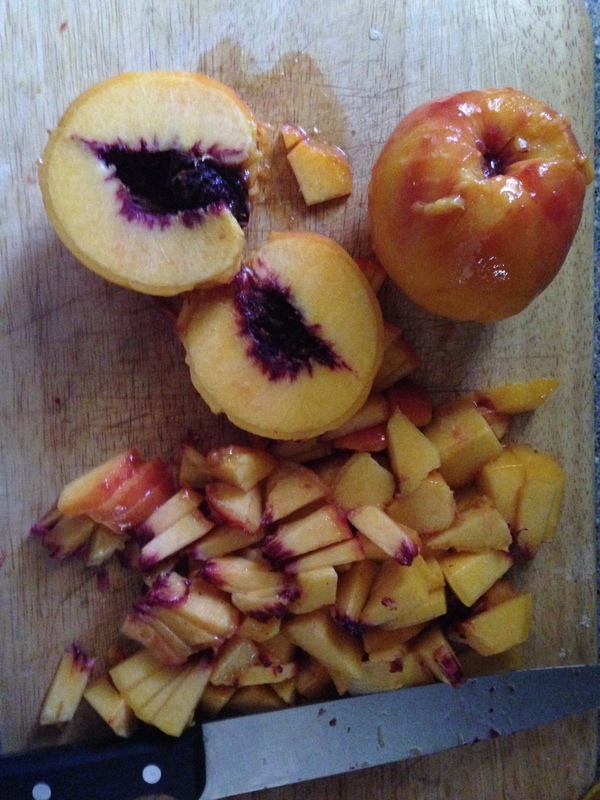 Cut each peach in half and remove the pit. 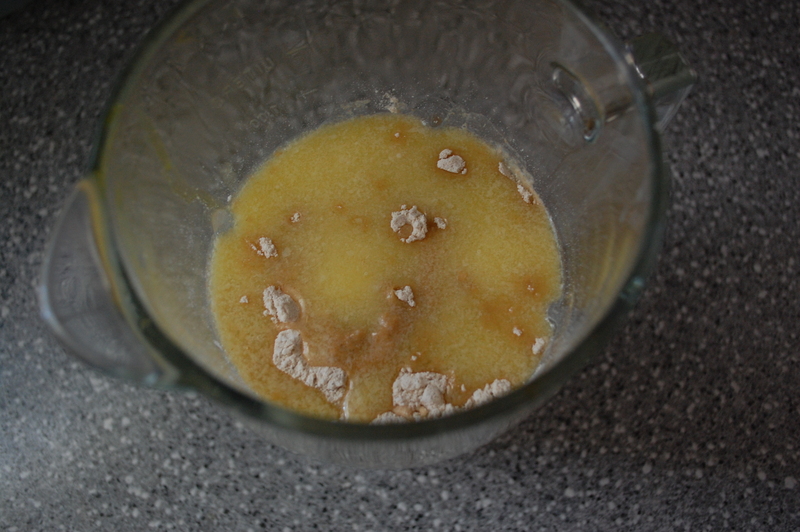 Then cut the peaches into chunks and transfer to a medium bowl. 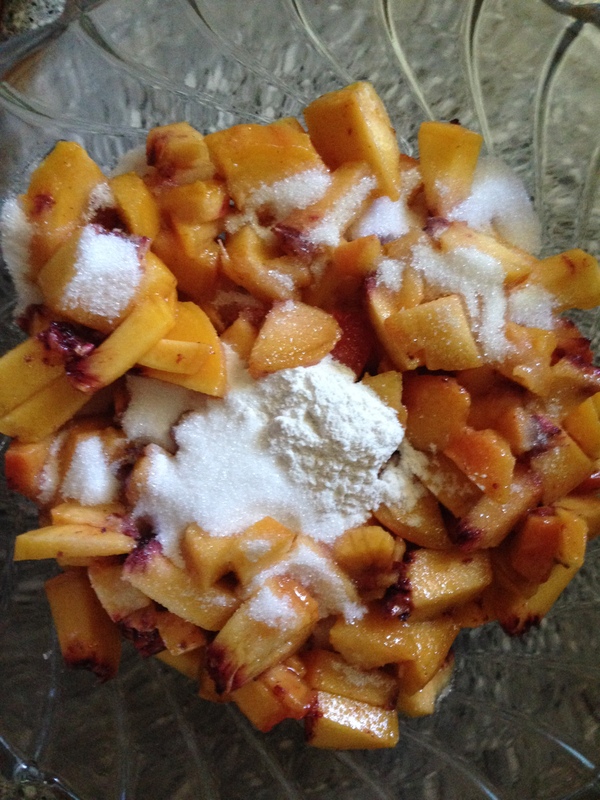 Mix peaches with the flour and sugar. 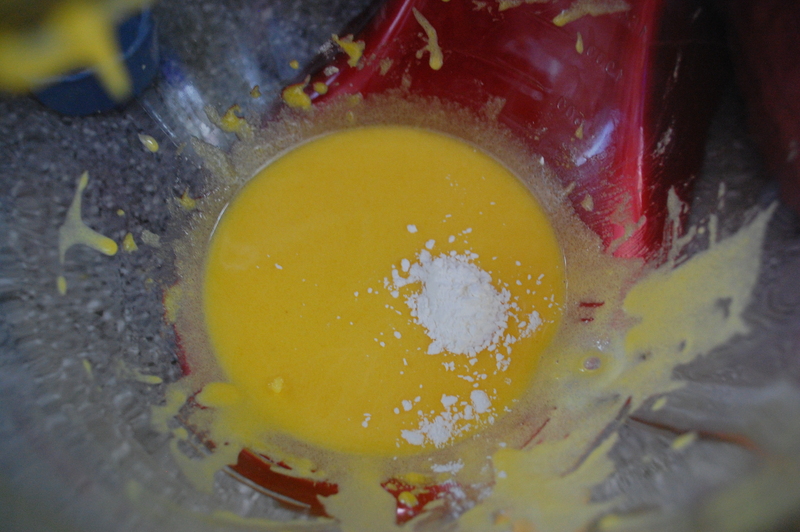 Spoon mixture into the pie crust. 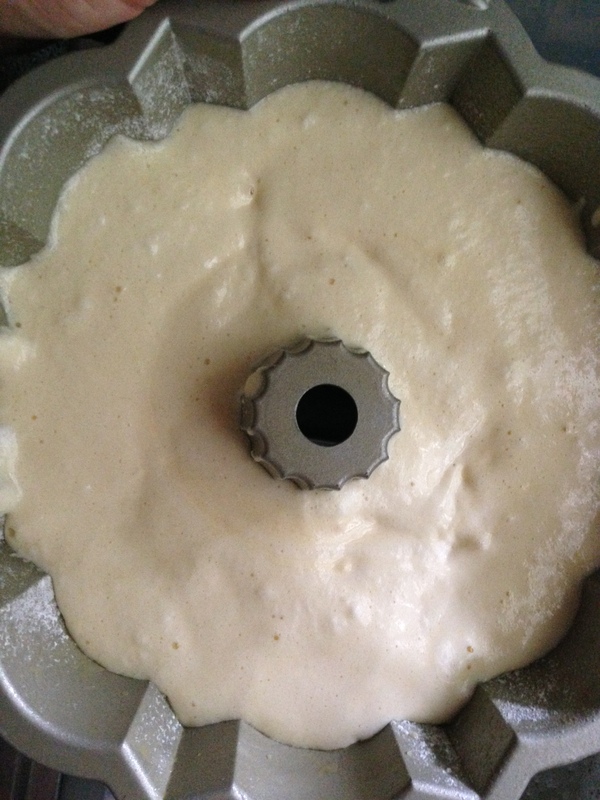 Place the second pie crust on top. 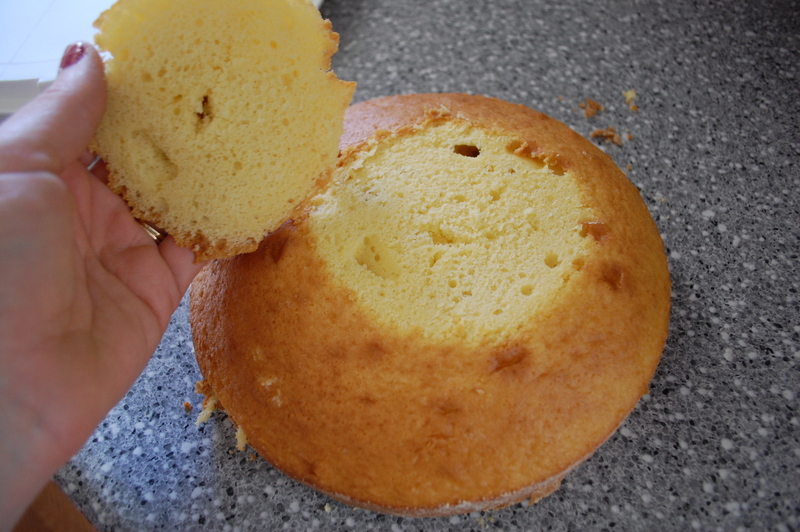 (I tried cutting it onto slices and braiding it). Seal the pie and vent if you are using the whole crust on top. 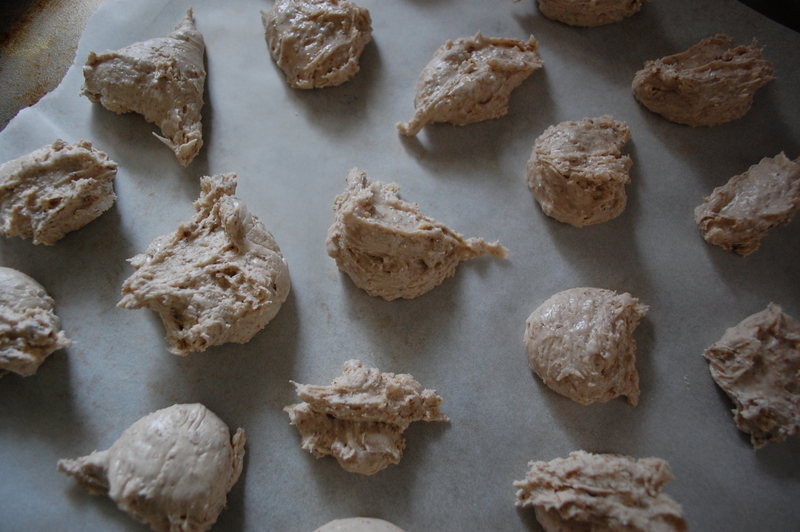 Bake in the preheated oven for about 45 minutes or until the insides are bubbly and the crust is golden brown. 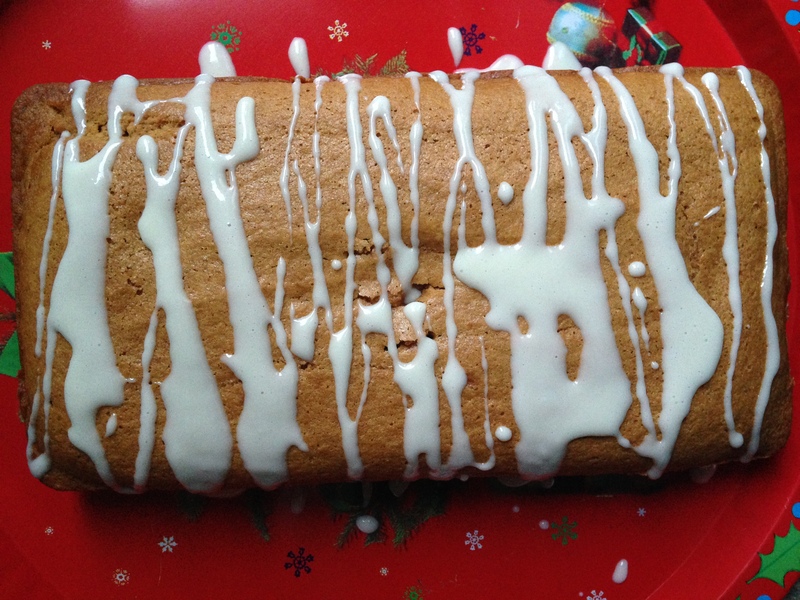 The week before Christmas for me is normally reserved for an all-out, non-stop, sugar-coma-inducing baking marathon. My kitchen is covered with flour. Every available Tupperware container is packed with goodies. The amount of butter I go through in a week is obscene, frankly. I’m a cookie girl. 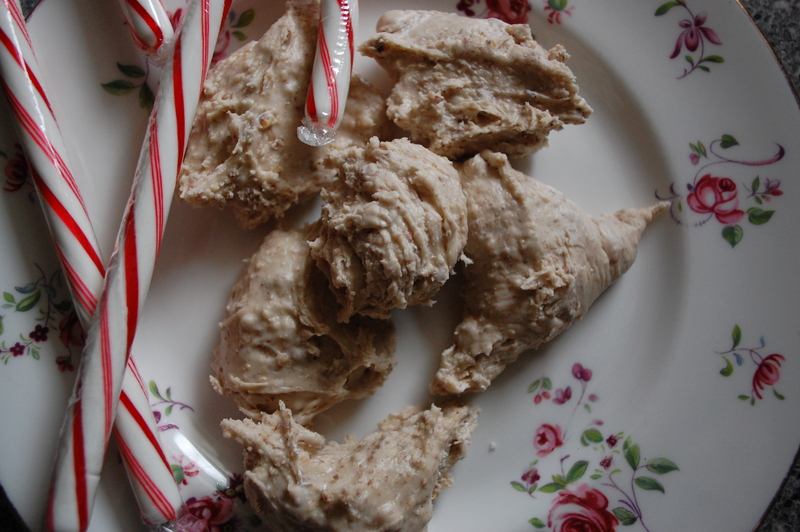 If you look at my Christmas Freak Pinterest board, you’ll find about 3000 recipes for every Christmas cookie imaginable. 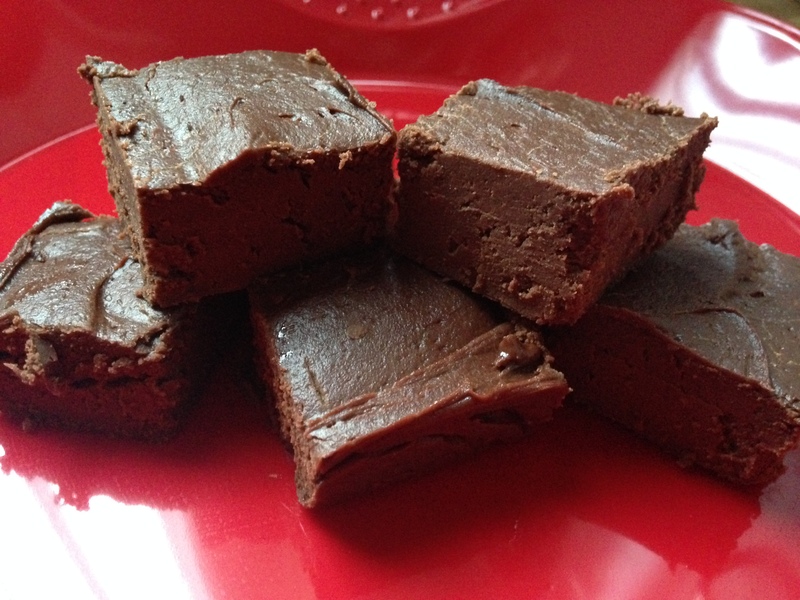 But occasionally, I venture into the realm of candy, though it’s usually just to create various versions of fudge. 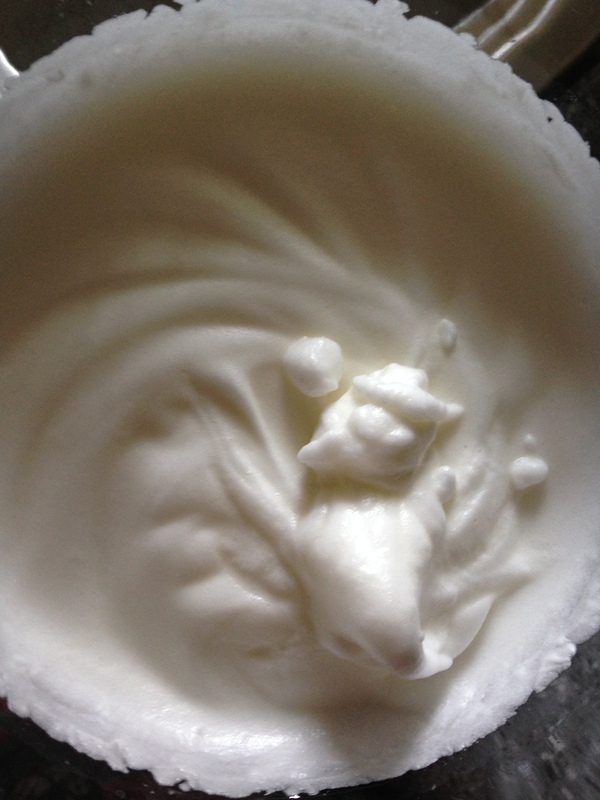 This year, however, I found a recipe for divinity and was suddenly obsessed with recreating it. You start with sugar, corn syrup and water and then you do some serious boiling. I’m so glad I did. 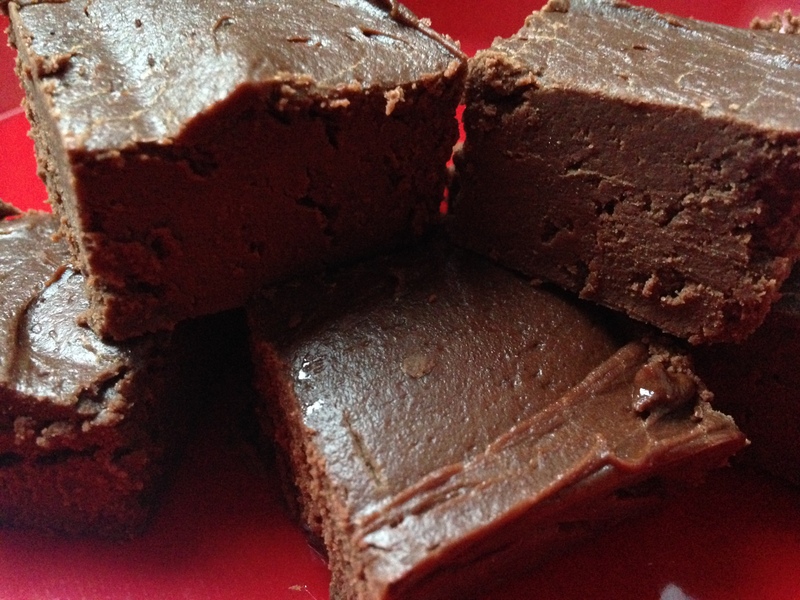 This is as easy as fudge and it tastes like heaven-thus the name! I made two batches-one with pecans and one with walnuts. I toasted the nuts beforehand and they were equally delicious. 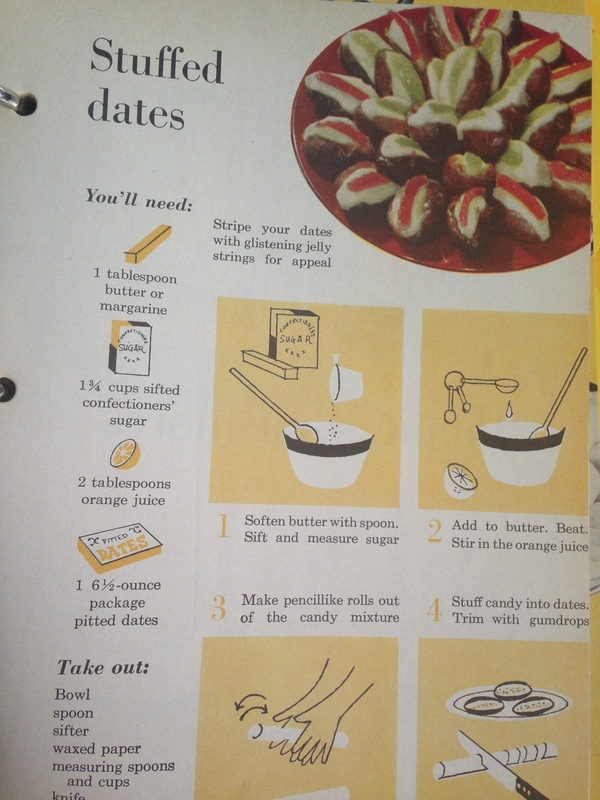 Also the original recipe did not call for vanilla-I added it to give the candy that warm, Christmas taste. 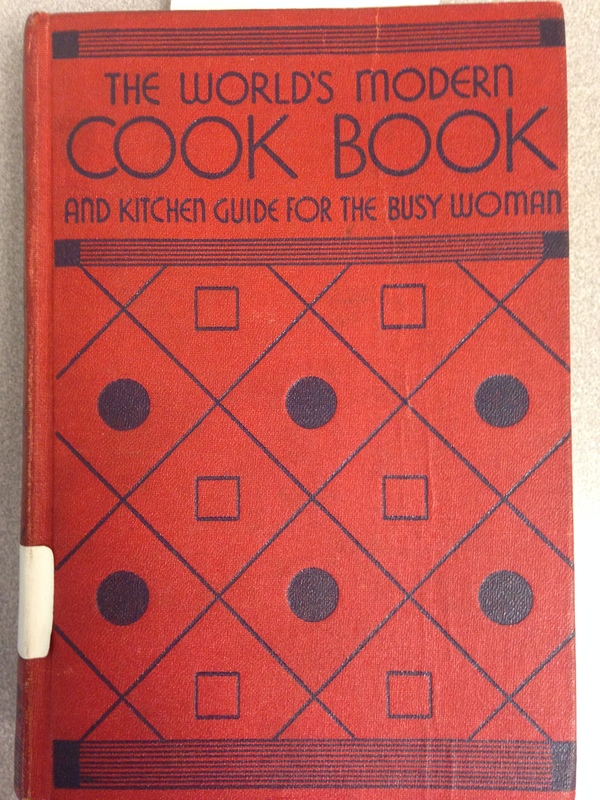 This recipe comes from The International Jewish Cook Book, published in 1919. They’re not quite set up yet in this shot. 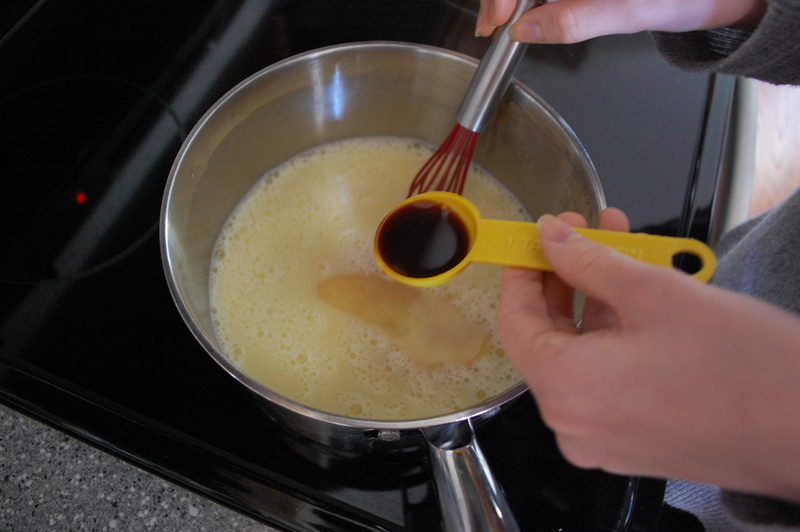 Boil the sugar, syrup and water over medium-high heat, stirring constantly, until a candy thermometer reaches 260 degrees. 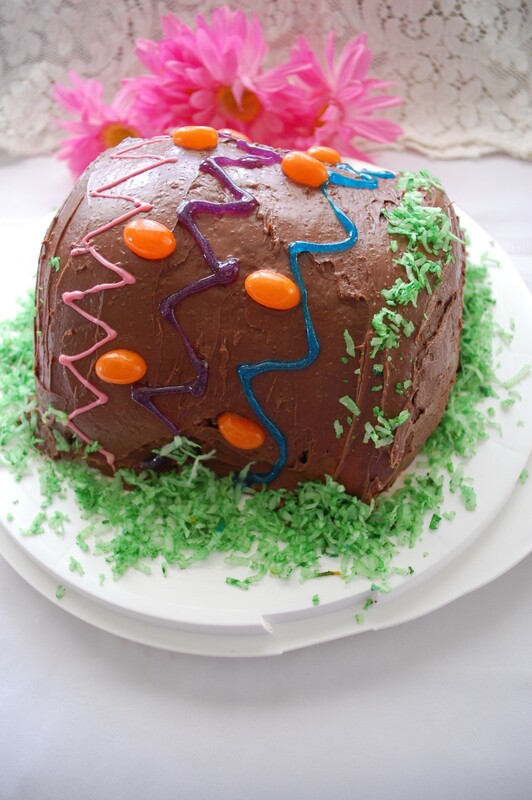 If you don’t have a candy thermometer (I don’t!) 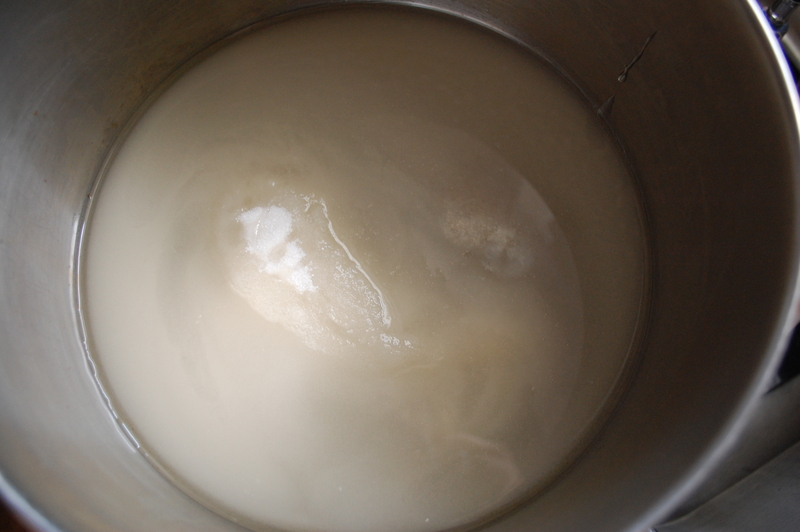 then boil it until a small amount of the mixture dropped into cold water turns brittle or forms a thread. For me, this took about 12 minutes. 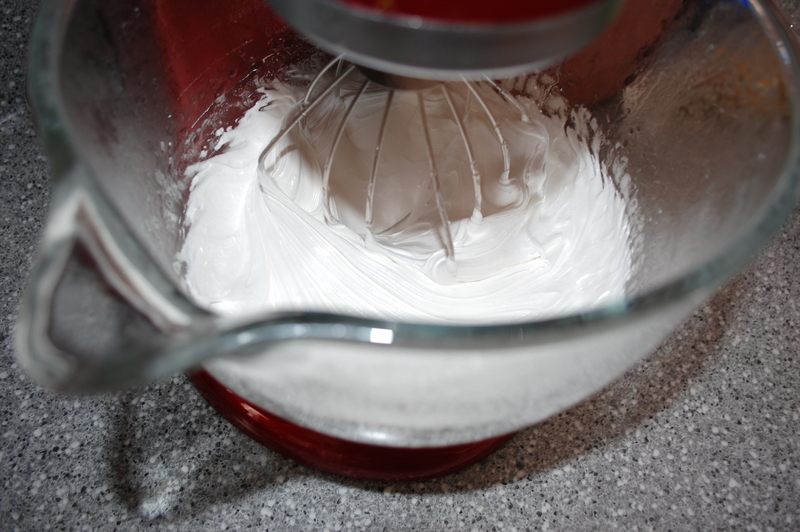 When you reach that point with the sugar mixture, pour it very slowly over the beaten egg whites into your stand mixer while the mixer is running. 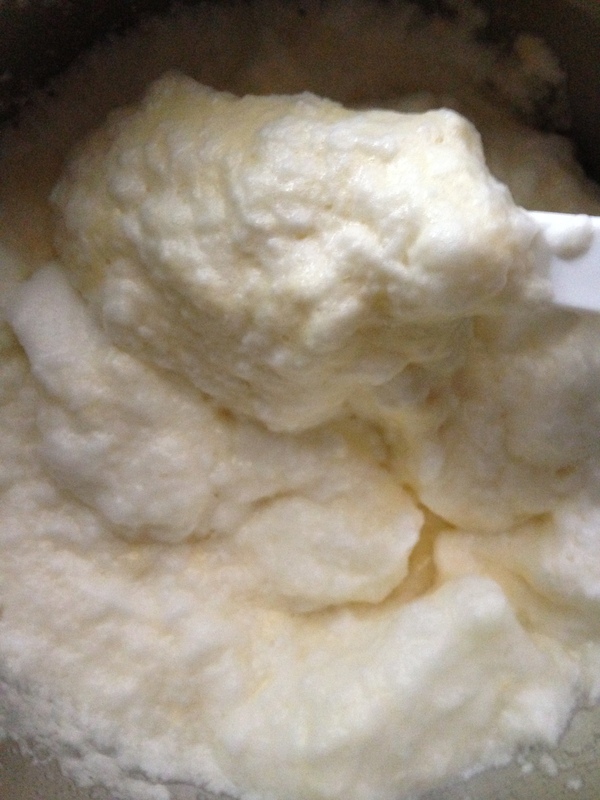 You don’t want to add the mixture too quickly and end up cooking your egg whites. 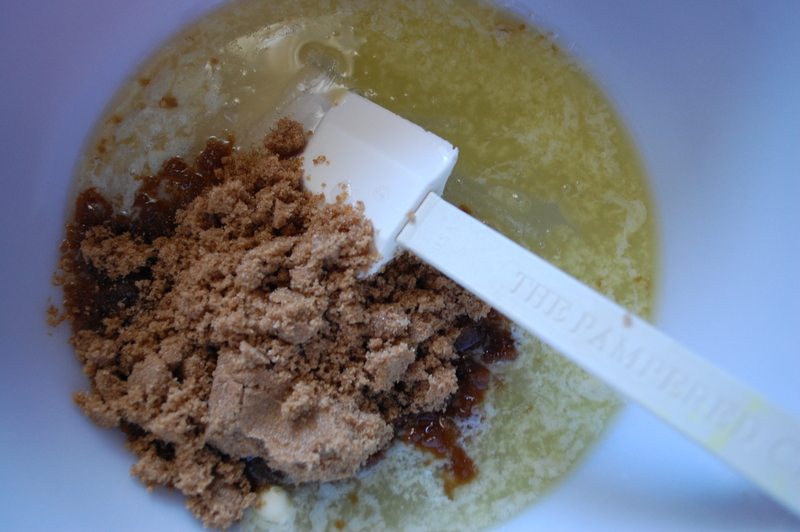 Add the nuts and vanilla and beat until the mixture is looses its shine and becomes very creamy-this took about 8 minutes for me. You can put it in a buttered pan and cut it into squares later or drop it by the spoonful onto parchment paper to set-this only took about 10 minutes total for my batch. 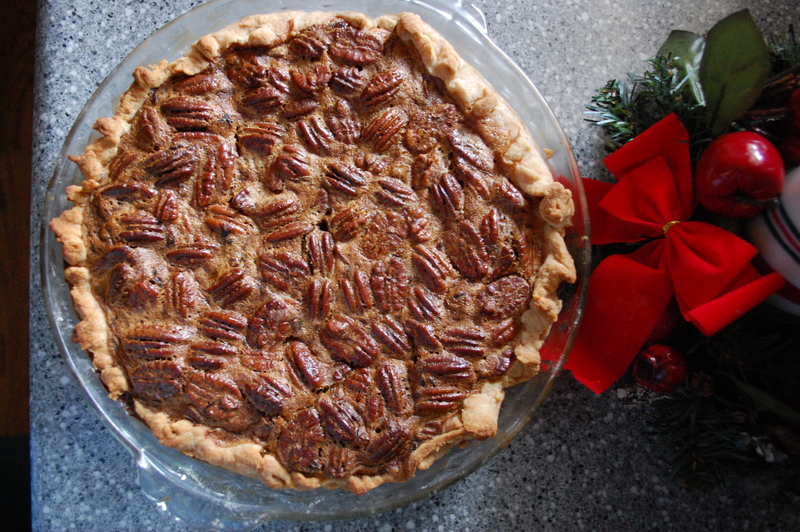 If you ask my father-in-law, no holiday is complete without pecan pie. I have never been a fan. 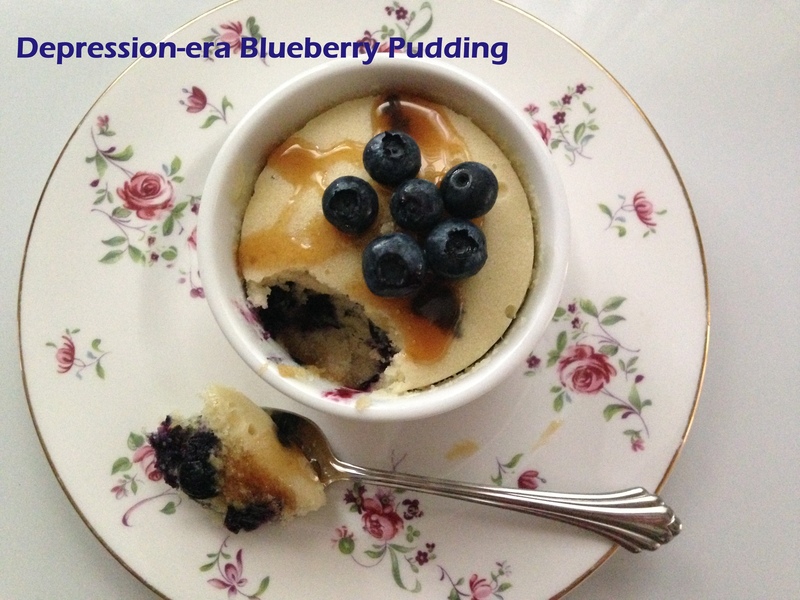 However, when I volunteered to make desserts for this year’s family gathering, I decided I would try to find a great recipe that reminded my husband’s father of the pies of his youth. 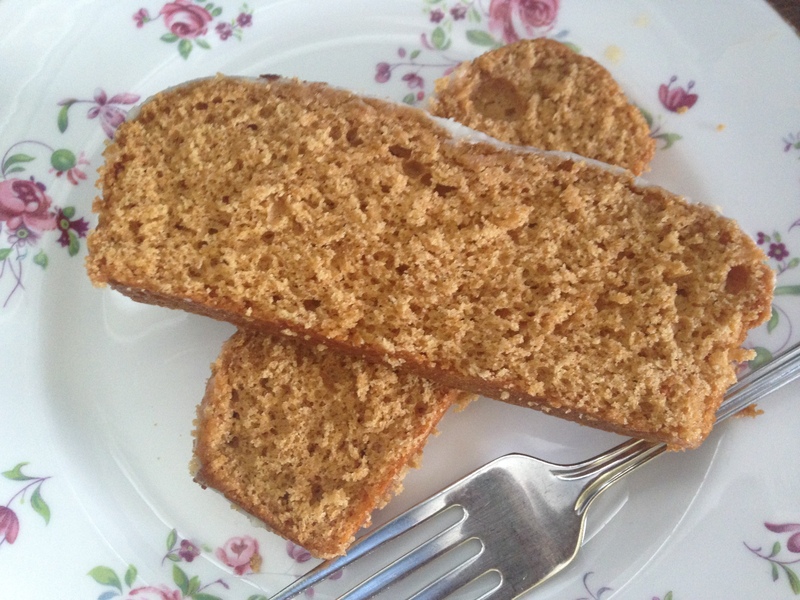 Magically, a recipe from the fantastic blog/podcast Splendid Table entered by Facebook feed just when I needed it. 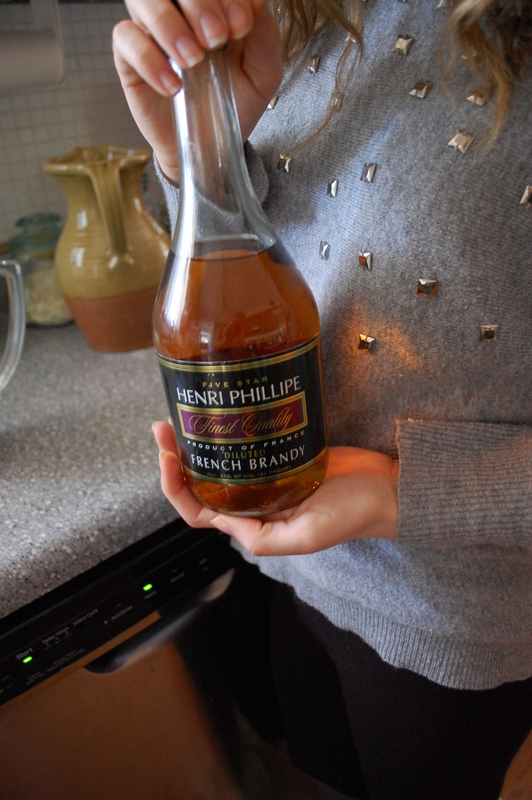 And it was vintage! 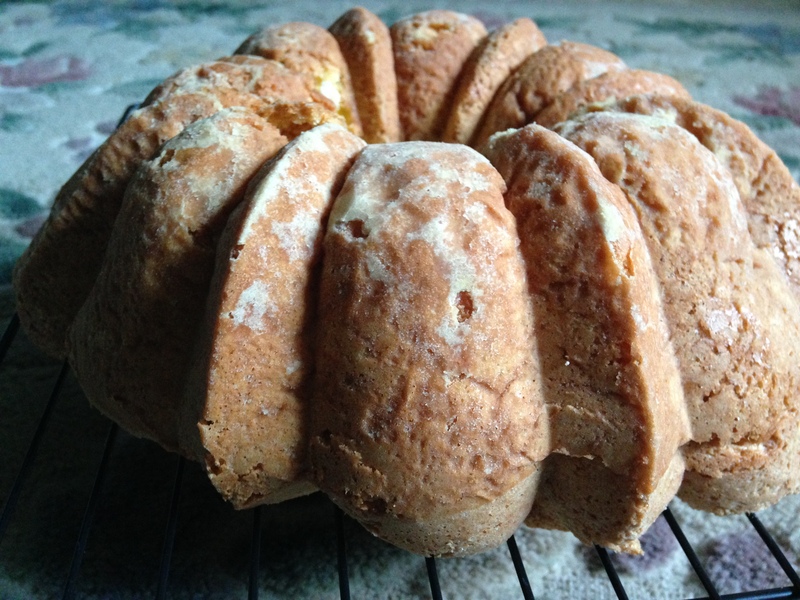 This recipe originally comes from The Jerre Anne Bake Shoppe in St. Joe, Missouri, which opened it’s doors in 1930. Proprietor Afra Lineberry (who went by the nickname Agee) used to make this pie for the trolley conductors who frequented her shop, as it was the last stop on the town’s trolley line. The shop was a huge success and in 1990, when it was run by Agee’s niece, it was churning out 625 pies just for Thanksgiving! So I figured it must be good! 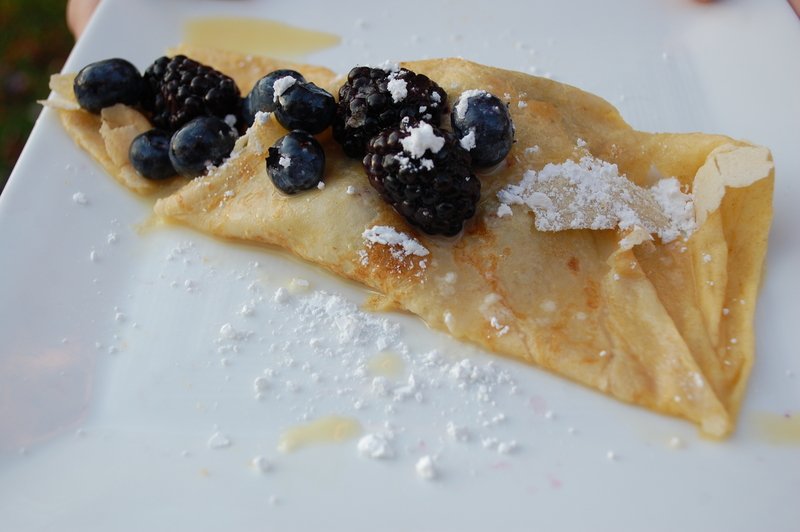 The filling is pretty darn decadent. 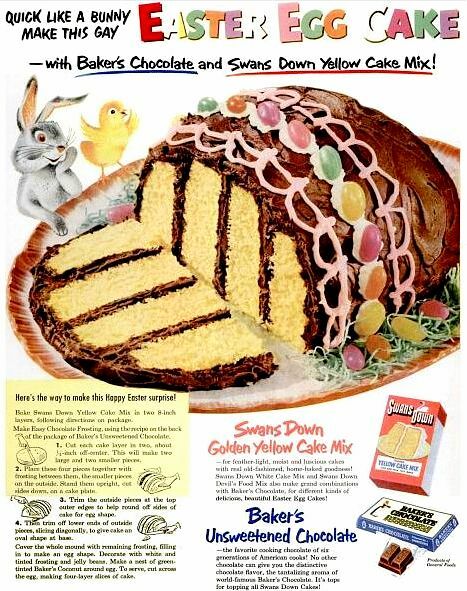 It involves a lot of brown sugar and corn syrup, which is delicious but will make nutritionists cringe. And it was. 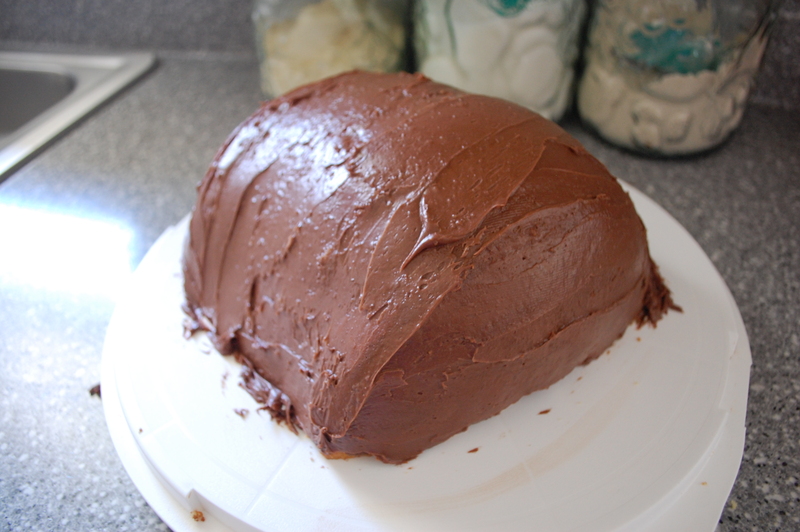 Clayton and I both thought it was delicious… and I thought it was really easy to make. I had heard that its easy to overcook a pecan pie but in my research, I learned that you can tell the pie is ready when the internal temperature reaches 200 degrees. Unfortunately, my thermometer broke as I was taking the temperature of this pie! 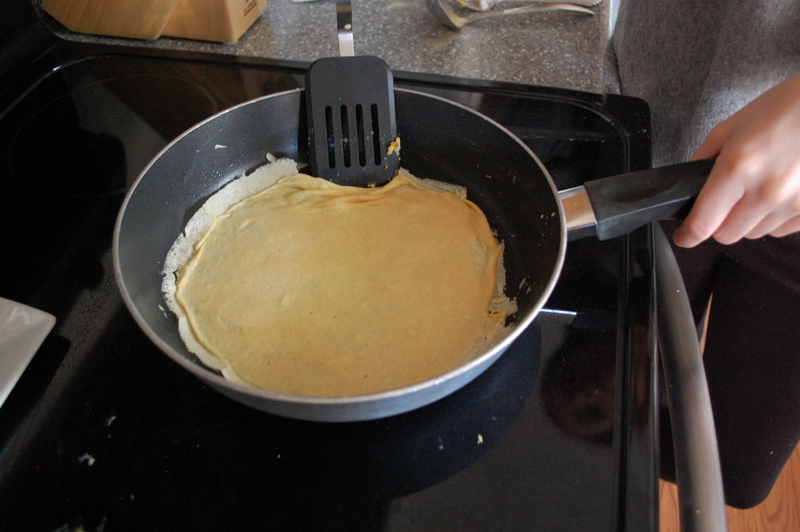 But I took it out when the filling stop jiggling excessively and sprung back to my touch-and it was fine. I got a big bag of pecans and ended up snacking on them as I was lining the pie plate. 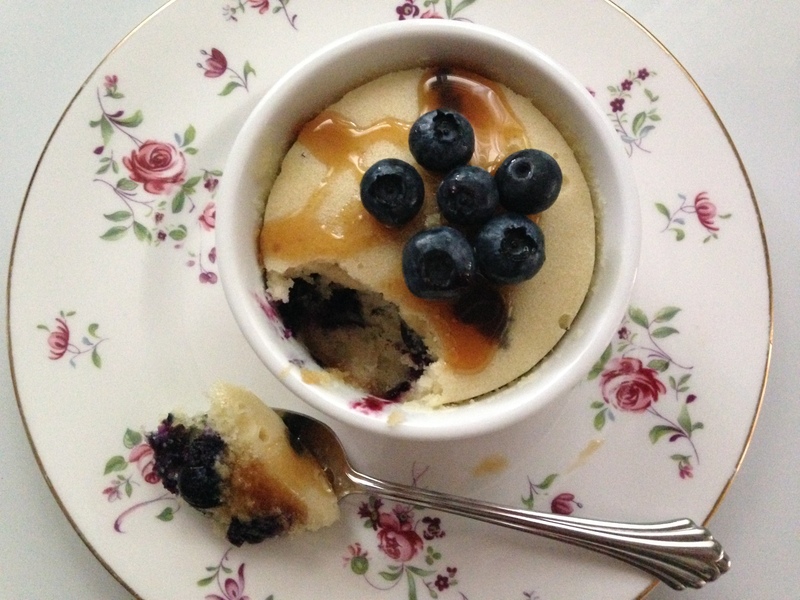 One confession: I used a different pie crust for this recipe. 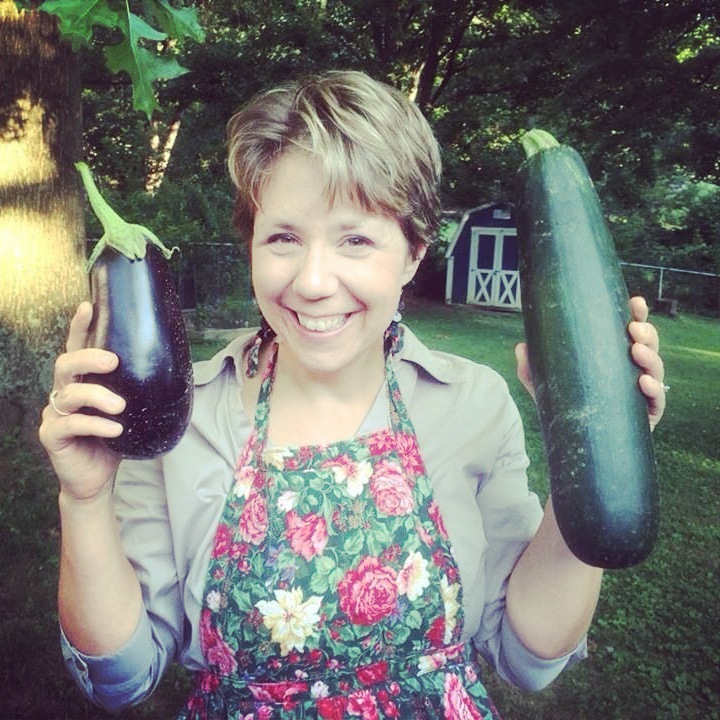 I’ve included a link to my easy tried and true version-and the version I used, which comes from another great website/podcast from America’s Test Kitchen. 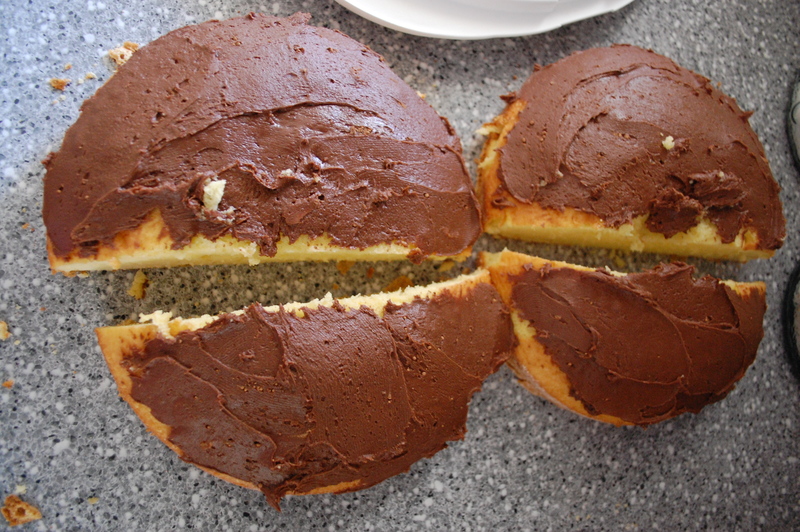 It includes vodka as a secret ingredient and while I found that it was more labor-intensive, and frankly odd, to work with that dough, it did taste incredible. So, the crust is your choice! 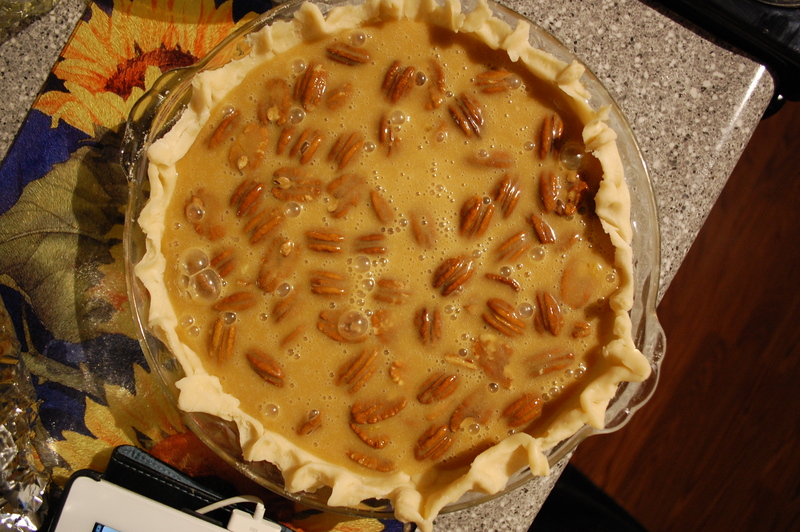 Once you pour in the filling, the pecans float to the top. 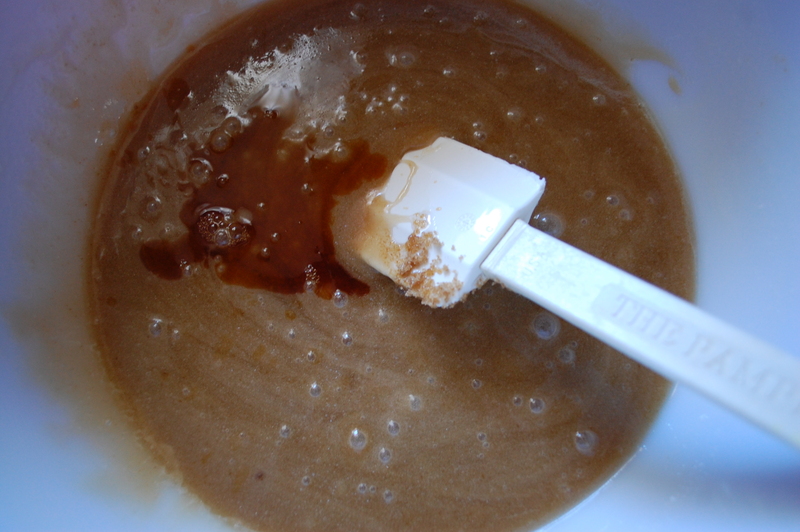 Mix together the corn syrup, melted butter, and brown sugar in a large bowl until the sugar has dissolved. 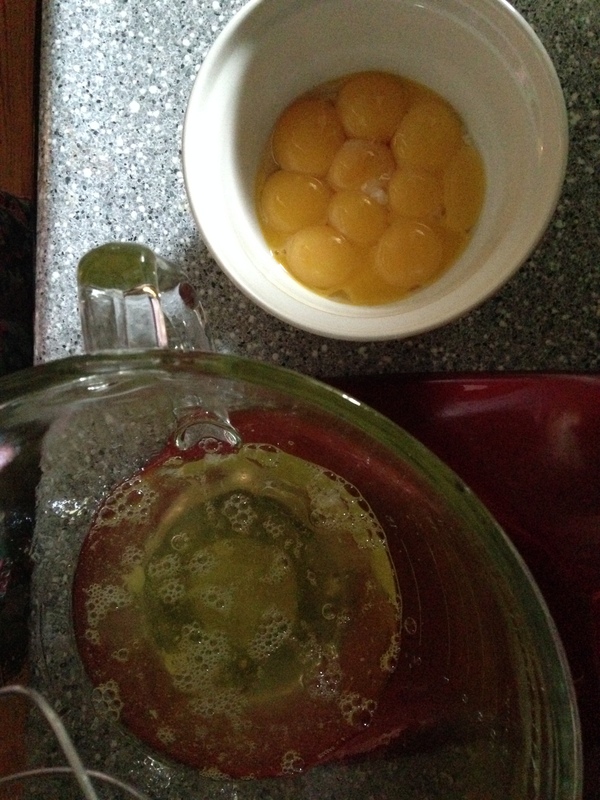 Add the salt, vanilla and eggs, mixing well after each addition. 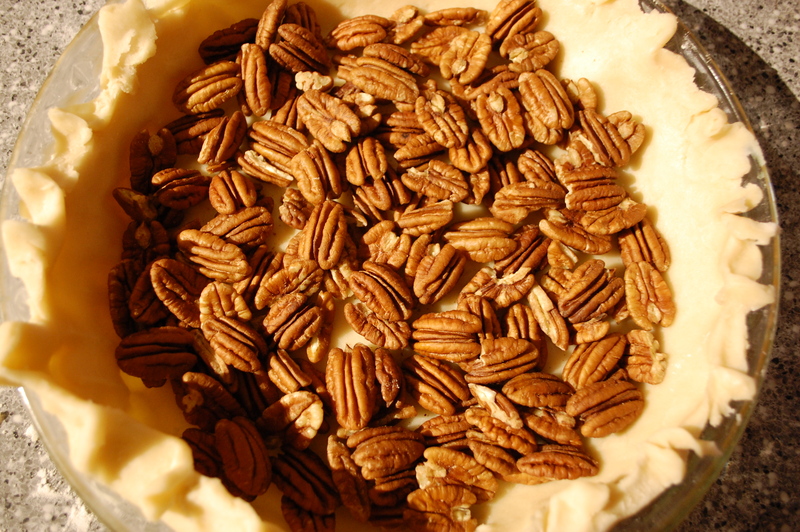 Arrange the pecans right side up in the unbaked pie shell, then gently pour the filling over them. The pecans will then float to the top. Bake for 40-45 minutes or until the filling doesn’t jiggle much when you move the pie plate and a knife inserted in the middle comes out clean. 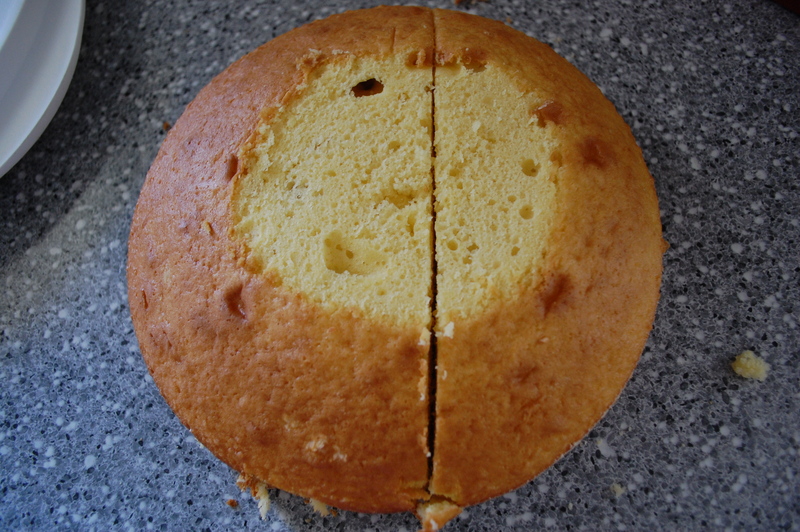 You can also check the internal temperature to see if the pie has reach 200 degrees. It was really yummy. I am now a fan!